Khaitan & Co associate partner Abhimanyu Ghosh joined multilateral development bank New Development Bank (NDB) this month as senior professional, legal. Ghosh will report to NDB’s director general of legal for expert legal support to the bank’s various divisions in matters relating to project financing, risk management and other activities of the bank in BRICS countries, according to his Linkedin profile. NDB’s director general of legal Sergei Kuznetsov heads a team of around six in house lawyers including others with similar designations as Ghosh at the bank’s Shanghai headquarters where Ghosh is based. Ghosh is currently focusing on investments and financing from India. Khaitan had added Ghosh to its energy, infrastructure and resources practice in September 2017. His move to Khaitan was from Trilegal where he had joined as an of counsel from Cyril Amarchand Mangaldas in November 2015. 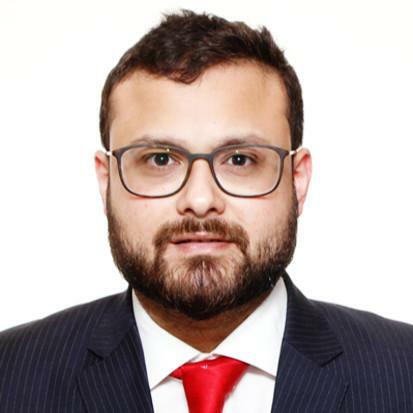 A NUJS Kolkata 2007 graduate, Ghosh had begun his career at erstwhile Amarchand Mangaldas in 2007, having completed a LLM at the University of Pennsylvania, before returning to India in 2011 where he joined J Sagar Associates (JSA) for a year before returning to Amarchand. The NDB, formerly referred to as the BRICS Development Bank, was established by the BRICS states (Brazil, Russia, India, China and South Africa) to support public or private projects through loans, guarantees, equity participation and other financial instruments and cooperate with international organizations and other financial entities, and provide technical assistance for projects to be supported by the bank. It has been doing sovereign financing so far, but it is poised to provide non sovereign financing from next year and the focus is on sustainable infrastructure and renewable energy projects. Update 13 November, 15:00: We have edited details regarding NDB’s legal team. Ghosh is a great guy!! He would do well wherever he goes! All the best Ghosh! To more boat parties! He has an MBA from Wharton!! Wattay star. Not an MBA. An LLM and a business diploma. Not the only Indian. Another SA from CAM Delhi has also joined. Hasnt Khaitan removed Associate Partner designation? when will we stop hearing about attritions at KCO? Not anytime soon. Associates across practices have quit. How much does NDB pay this guy? Are NDB salaries tax free? Where does he sit? Is NDB not h'quartered in China? Many questions. Few answers. Kian, please get comments from him or Sergei Kuznetsov. Blood group bhi pooch le.